Earn 5% of your order back in AMS Pro Points that can be applied to your future orders. Free domestic and 30% off international shipping on orders over $250. Some restrictions apply. Purchases are tax free in the 49 US states, outside of Texas, and throughout the rest of the world. Our sales staff provides live support weekdays 10am - 6pm CST. Please call us at 214-466-6540 with questions on Parts, Apparel or Accessories. For 24/7 support, email us HERE. 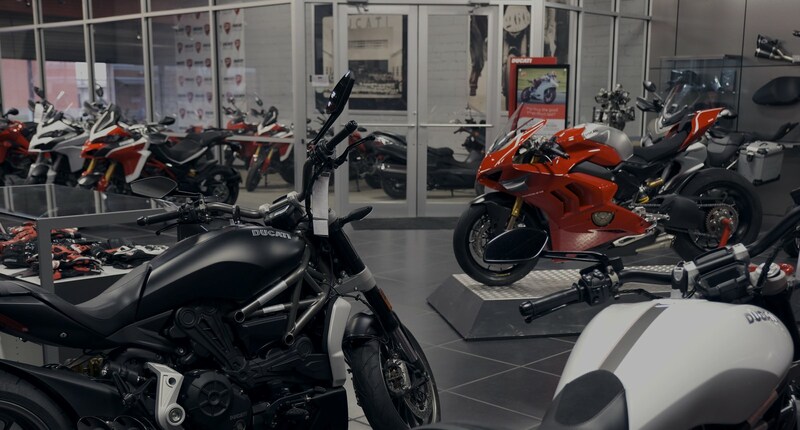 Founded by Jeff Nash in 1995, Advanced Motorsports Ducati Dallas is the largest exclusive Ducati dealer in North America and maintains the greatest inventory of OEM parts, accessories and apparel outside of Bologna, Italy. AMS is widely recognized for its extensive collection of vintage and rare motorcycles, restoration capabilities, service, technical and race expertise.